Rob Jaiven has been an animation art collector and dealer for over 35 years. Many of the most famous pieces of animation art known to exist have been sold by his company Cuckoo Comics & Collectibles. Instead of growing up and putting away his childish things, after years as a mathematician Rob quit the academic life, took those childish things out again and began his company. Suddenly in the early 1980's these childish things became fashionable and sought after. Cuckoo Comics & Collectibles continues to buy and sell the oldest, rarest and most desirable pieces of animation art. Rob also serves to educate collectors and is happy to answer questions and to talk about animation art with anyone who has an interest. 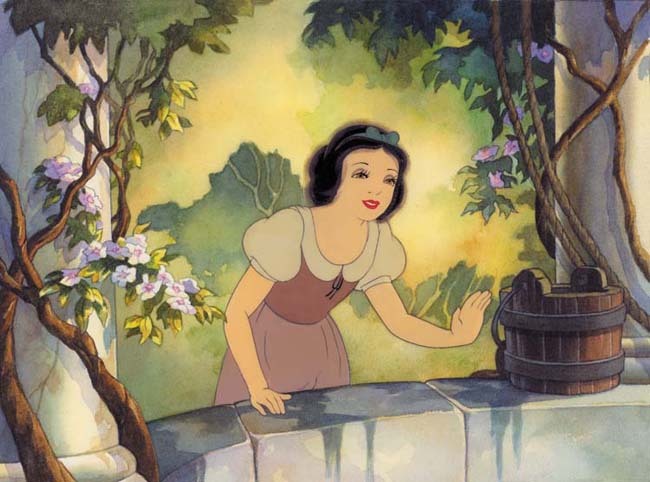 Snow White & the Seven Dwarfs was the first full length feature animated film released anywhere in the world. Produced by Walt Disney Studios it premiered in December 1937 and was shown in multiple theaters staring in February 1938. Snow White was loved by the public and critics. It is still considered by many to be Walt Disney’s greatest achievement. There are many reasons for this. Snow White’s technical brilliance was overwhelming. The production was four years in the making. Six hundred to seven hundred artists worked on the film. More than two million sketches and paintings were used. All of this was why the film was so adored by all. It was obvious that this was really a masterpiece. Audiences still love the film and all of the characters. This love for and the look of all of the characters is what drew everyone to the film. Of course the first and most beloved is Snow White herself. 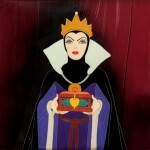 She really was the fairest of all. 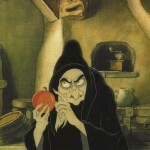 As for villains, the Evil Queen and her alter ego the Wicked Witch are two of the scariest of all. They were drawn to instill fear and the artists succeeded. 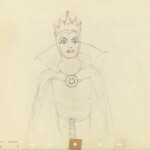 Here are two animation cels and one animation drawing of the queen and the witch. You can see the care and detail that went in to the creation of them. 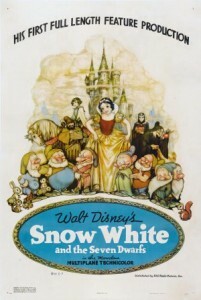 Snow White was not released on videotape until 1994. Until then only the lucky few of us able to procure a bootleg copy of the film were able to view it with regularity. After 1994 it sold over fifty million video copies. It was released on DVD in 2001. It remains the first one – and to most the best of all animated films.